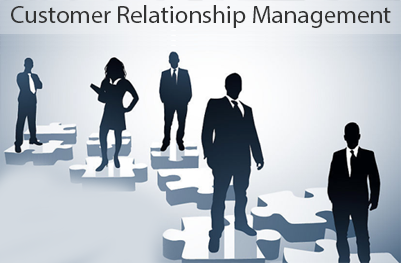 Customer Relationship Management (CRM) is an approach to managing a company's interaction with its customers. It includes using technology to organize, automate and synchronize marketing, sales, customer service and technical support. Customer Relationship Management (CRM) focuses on creating satisfactory customer experience which is the first priority of your enterprise. It will delight your current customers and also help you acquire new customers. CRM refers to the strategies, practices, and technologies. It helps companies to manage and analyze customer interactions and customer data throughout the customer life-cycle. It helps in improving customer relationships, customer retention and boosts the sales growth. CRM systems are specially designed to collect customer information across various mediums. CRM systems provide the detailed customer information, purchase history, purchasing preferences and future customer behavior. MeraCRM is India's innovative technology and Customer Relationship Management software. It provides all the important interfaces from sales and marketing to customer service. Centralizing your enterprise, MeraCRM saves invaluable resources and time. MeraCRM platform delivers Customer Relationship Management Software-as-a-service virtually. It grants speed to your business and efficiency of the cloud computing revolution in India. Join the cloud and transform your customer service using our cutting edge technology. Take a free trial now. We bet you will like it so much. MeraCRM custom software updates your business flow and processes instantly. It combines them with people and technology to provide more information about the customers and their behavior with better analysis. It helps you providing predictive intelligence into critical sales and customer metrics. How will MeraCRM India Take Business to the Next level? Most of the time, our Customer Relationship Management Software is in the cloud. Thus, it relieves your sales team from bulky admin, data entry, and security updates. As a result allows them to focus more on lead generation, closing deals and gain maximum business. MeraCRM software automates and streamlines your business processes. It provides better analysis and insight into critical sales and client data and ensures higher client satisfaction. What is CRM Cloud Platform? Sales and marketing, as well as service professionals in any industry, needs the best ease of use in their customer relationship management software. That is why they prefer cloud computing for easy access to any information at any time. Work smarter with our MeraCRM platform: It provides you easier customization and high user adoption. MeraCRM works the way you do and expect from it to do. With MeraCRM, you can gather customer support requests from various channels, assign the support cases to the concerned team or agent. You can easily find out the best solutions of the customer problems, expand the support cases when required and provide web-based solutions to customers. You can adapt to service-level agreements and identify the areas where the service needs to be improved. As a cloud computing service provider, MeraCRM India gives your business unrestricted virtual power of 21st century virtual technology: web communities, partner/channel management, best interfaces, seamless CRM integration as well as point-and-click customization. How will MeraCRM Transform Your Sales and Marketing Campaigns? Customer relationship Management cloud services allow your sales managers analyze and monitor activities of their team. As a result, they can forecast sales and make strategies ahead. For sales representatives, CRM cloud services make it easy to manage the customer profile and history information, saving time and using services with expertise. For marketers, it is crucial to analyze the effectiveness of your marketing campaigns on the website, in email or google Adwords to verify the lead process. MeraCRM cloud-based services allow the Indian marketers track the sales leads and sources, direct the leads to the right sales reps in real time, providing analytics that reveal greater business possibilities. MeraCRM India delivers superb CRM service. Your business needs the freedom to manage CRM and not the technology. MeraCRM is best suited for all enterprise usage.